The GOP wants to make three temporary tax breaks for donations permanent; Obama wants to cap the charitable tax deduction for high earners. President Obama wants to cap the charitable tax deduction for high earners. Tax breaks for charitable giving are in play on Capitol Hill. Republicans in the House of Representatives want to make permanent three temporary tax breaks for charitable donations and to simplify the foundation excise tax, and this week President Barack Obama submitted his seventh budget proposal to Congress, in which he proposed a cap on the charitable tax deduction. Last summer, the House passed a bill that would have hived off the three charity extenders from the other tax breaks and made them permanent. The White House immediately responded with a veto threat, and election year politics ensured the bill would not survive. Before the previous Congress adjourned, according to The Chronicle, it extended the three charity provisions retroactively for the tax year ended Dec. 31. Another provision in the legislation passed by the House last summer would have allowed private foundations to reduce the excise tax on net investment income from the current 2% to 1% in any year in which they exceed their average historical level of charitable donation. The Chronicle reported that Republican Majority Leader Kevin McCarthy recently laid out a plan for another vote to simplify the foundation excise tax. McCarthy’s proposal would impose a 1% levy on all foundations’ investment gain rather than two rates of 1% and 2% determined by the grant maker’s distributions to charity. Obama’s budget proposal set the tax at 1.35%, The Chronicle reported. In his budget plan for the fiscal year beginning Oct. 1, the president proposed scaling back the charitable deduction for upper-tier taxpayers to 28% for individuals earning more than $200,000 and couples bringing in more than $250,000. The 28% cap on the charitable deduction — as well as on all itemized deductions — would make charitable donations much more expensive for taxpayers in the 39.6% tax bracket. At present, they can save 39.6 cents for every dollar they contribute to charity. In an analysis of the budget plan, The Chronicle of Philanthropy said the plan would limit tax breaks for certain activities, such as mortgage interest payments, spending on research and development, and donations to food banks or homeless shelters. The administration’s goal, it said, was to make the tax code more equitable. The Chronicle said the administration’s budget plan was unlikely to gain traction in the Republican-led Congress. Last month, Obama proposed to close a loophole in the tax code, whereby assets inherited as part of an estate can be sold without realizing a tax on any increase in value from the time the assets were originally purchased. However, the president made an exception for any assets inherited by charities on which capital gains taxes might be owed. 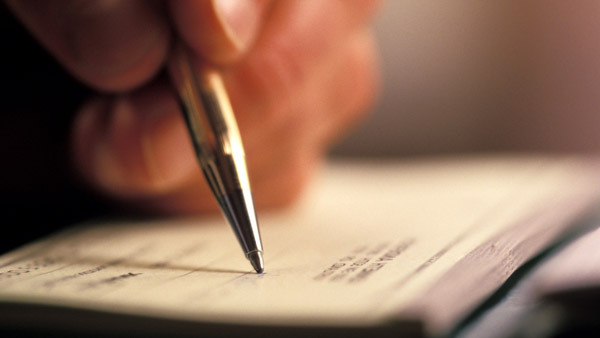 — Check out Charities Get a Carve-Out in Obama’s SOTU Tax Proposals on ThinkAdvisor.